Chic and sporty describe this 100% polyester double knit jacket. 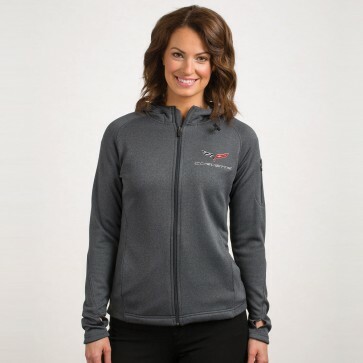 With moisture wicking technology, this jacket is perfect for a day at the gym. Taped neck. Open cuffs. Thumb holes. Front pockets and left sleeve zippered pocket. Imported.